They say that stress is a killer. It’s true – being stressed is so bad for your health that it could actually cause you to die!!! But don’t worry. Don’t we’re not talking about dying from stress. We’re talking about doing badly in exams because of stress. This TED Talk is called How to Stay Calm When You Know You’ll Be Stressed, and it’s by Daniel Levitin. Ok, let’s start off with a little listening exercise. A helpful hint: the words I’ve chosen are related to the IELTS topic of health/science. But there’s a question you should ask at this point, a ____1____ you should ask for that most doctors don’t like talking about, and pharmaceutical companies like talking about even less. It’s for the number needed to treat. Now, what is this, the NNT? It’s the number of people that need to take a drug or ____2____ a surgery or any medical procedure before one person is helped. And you’re thinking, what kind of crazy statistic is that? The number should be one. My doctor wouldn’t _____3_____ something to me if it’s not going to help. But actually, medical practice doesn’t work that way. And it’s not the doctor’s fault, if it’s anybody’s fault, it’s the fault of scientists like me. We haven’t figured out the underlying mechanisms well enough. But GlaxoSmithKline ______4______ that 90 percent of the drugs work in only 30 to 50 percent of the people. So the number needed to treat for the most widely prescribed statin, what do you suppose it is? How many people have to take it before one person is helped? 300. This is according to research by research _____5_____ Jerome Groopman and Pamela Hartzband, independently confirmed by Bloomberg.com. I ran through the numbers myself. 300 people have to take the drug for a year before one heart attack, stroke or other adverse event is _____6_____. That was a bit difficult, right? Sorry. I picked some hard words this time! I hope you managed to take a guess and write down something close to the correct answer. A good idea is to look at the answers below and then check them in a dictionary to help understand their meaning. Look up some example sentences and even check Google for some extra help! In some societies, stress is now regarded as a major problem, and it is thought that people suffer from more stress than they did in the past. However, others feel previous generations were under more pressure. Discuss both these views and give your opinions. Write your answer in the comment section below. I will post full corrections and give grades for the first THREE essays posted. 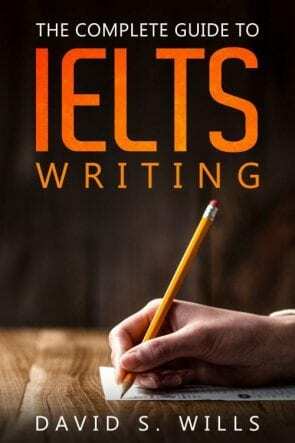 Stress is a big problem for IELTS students. Getting a band 7 can really change your life, so it puts far too much pressure on students. Many students manage to deal with the reading and listening exams ok, but for some reason they choke up on the writing and speaking exams. It is important not to panic. Feeling nervous and stressed is normal, but you can’t let it get the better of you. You must figure out ways of coping with stress before your exam so that you don’t struggle and get a bad grade. Remember that the examiner is just a person. Eat healthily and sleep normally. I put “be prepared” as number one because it is utterly the most important. Students who study hard and do lots of practice tests don’t feel so nervous on the day of the real exam because they are ready to go. Sure, they feel a little worried, but it doesn’t overwhelm them.